Located Conveniently in Santa Rosa's Railroad Square & Downtown Napa! Arthur Murray has been teaching the world to dance since 1912! Arthur Murray instructors are vetted, selected, and trained with care in the exclusive Arthur Murray teaching method. This assures that you will receive the finest in dancing instruction. Cara has been teaching with Arthur Murray since she was 17! She always dreamt of opening her own studio and in the fall of 2012 her dreams were realized when she opened the Santa Rosa, CA studio. In 2017 she met a community need in beautiful Napa, California with her second location and is excited to continue to expand. She has a passion for sharing the wonderful world of dance with others and finds building a dance community to be the most rewarding thing. When she isn't at the studios Cara spends her time with her growing family, she is a mother to 4 children and counting. Jenny Has always had a passion for dance and a take charge attitude, whether she is teaching a group class or studying a new dance. she tackles all things with tenacity and enthusiasm. She first began as a student and now wonders how she ever lived without the ballroom dance community being a major part of her life. 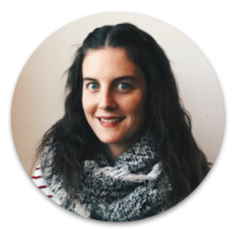 Isamar manages our Medalist Programs which means she will be an integral part of planning and tracking your dance progress. Isamar grew up in Nicaragua and began her love of dancing with Bachata, Salsa, and Hip Hop. She has since branched out from her latin roots and teaches Ballroom as well as Latin dances with equal flair for technique and fun. She loves to perform and and teaching others to dance with style. Jessica is an experienced admin who can answer all your questions with a smile and a sense of humor. She says she is too awkward to dance, but we haven't given up on her and are teaching her little by little! She loves her Pit bull and making Jewelry and is a wonderful asset to our team....Without her there would be typos on everything. Rafael has been teaching Salsa and Latin Dancing for 10 years in Guatemala and Denmark. He brings with him a sense of humor and a passion for making learning fun and easy. He loves to getting to know students through dancing and will surely help you bring your unique personality to the dance floor. Dmitri recently relocated from Ukraine in order to join the Arthur Murray Santa Rosa Team! He has been dancing International Styles of Ballroom for 25 years and can teach all the American styles too. Prior to moving to the states he also had many dance adventures at sea while he worked on The Queen Mary for 8 years as a Dance Teacher and Performing Artist. Alexandra is thrilled to be a part of Arthur Murray, Santa Rosa. She received a BA in Theater Arts with a concentration in Dance and French with distinctions from Sonoma State University. Later Alexandra received her MFA in Performance and Choreography from Mills College in Oakland, CA. She has trained in various dance techniques including ballet, jazz, tap, modern, ballroom, hip hop and musical theater. She has taught in New York, San Francisco and Santa Rosa. Spencer grew up in a small town in Illinois, after High school he enlisted in the US Army, and served as a Human Resource Specialist for 3.5 years. Upon Completion of his Service he pursued a lifelong dream of relocating to Northern California, where his passion and love for dance turned into an opportunity! He is always up for a challenge, and also enjoys playing a variety of musical instruments. His dynamic personality make him an ideal teacher for anyone from athletes to artists and anything in between. Danaite hails from Ethiopia, and has found home in Santa Rosa and in the dance community. She is a well established hip-hop and Afro-beats guru. She works at the front desk in Santa Rosa and can help you with all your scheduling and organizational dance needs, but don't be fooled by the desk job this girl has the moves! Natalie joined Arthur Murray after receiving her Bachelor Degree from UC Davis. She has a performing arts and dance background and can dazzle on the dance floor and teach you to do the same. In addition to some mad dance skills Natalie can answer all your questions about dancing from how to get started on social dancing to how to become a competitive dance. 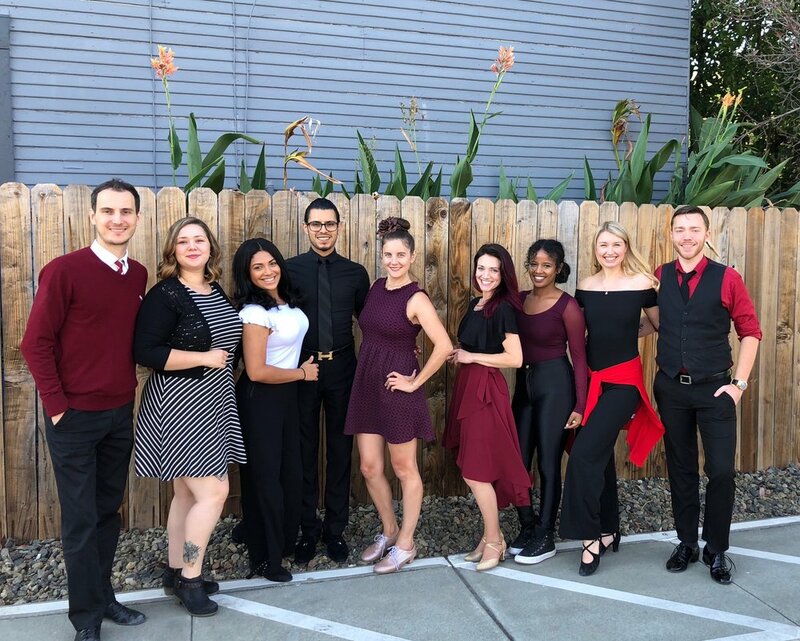 Whether your goal is to be a better bachata dancer or to do a professional number like on Dancing with the Stars, Natalie can help you get started on your new dance life plan. Cory originally joined the Santa Rosa staff back in 2013 and found his passion for all things Ballroom Dancing. Whether he is throwing his partner up in the air, or breaking down the specifics of cuban motion, he approaches all things with 110% enthusiasm and precision. He joined the Napa school to help launch a new dance community and now manages our Medalist Programs which means he will be an integral part of planning and tracking your dance progress. Sara can help you with all your scheduling needs with a warm demeanor and pleasant smile. She loves working at the studio with her co-workers, and taking dance classes in her free time. She loves anything involving art, and when she's not at the studio loves to cook, paint, explore, and snap nature-photos. If you're ever hungry just stand near her with hungry-eyes, a delicious snack will probably magically appear in front of you. Madrid found his passion for Ballroom Dance after growing up in Los Angelos as an actor, vocalist, musician, and all around performer. He has a gentle approach to teaching and allows his students to feel instantly at ease with learning to dance. He now uses is musical and performing talents to master the art of ballroom dancing and help you to master it too.